I this post, I am going to review and rank the best noise cancelling earmuffs I have been able to find. I have owned and used all earmuffs in this review. I am also going to shed some light on what noise reduction numbers you should insist on when deciding which pair is right for you. 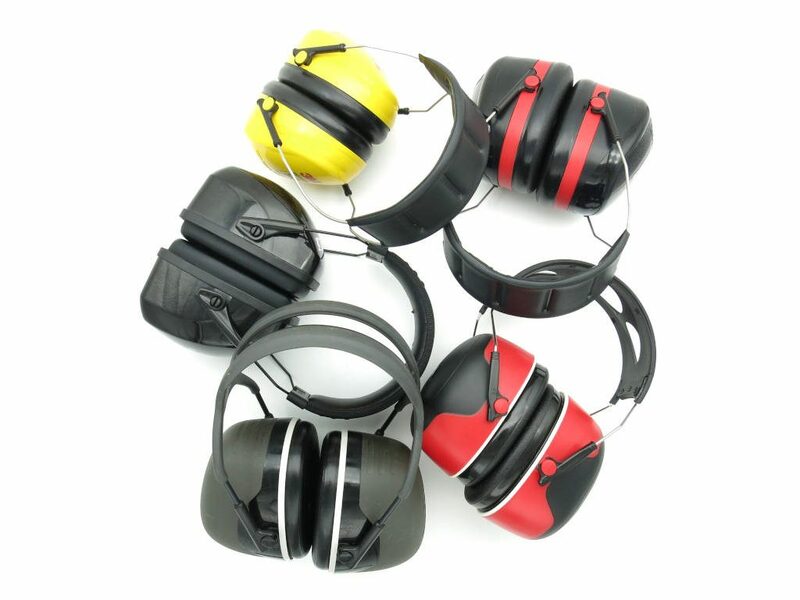 The top 5 muffs in this article are excellent hearing protectors and are being sold as such. 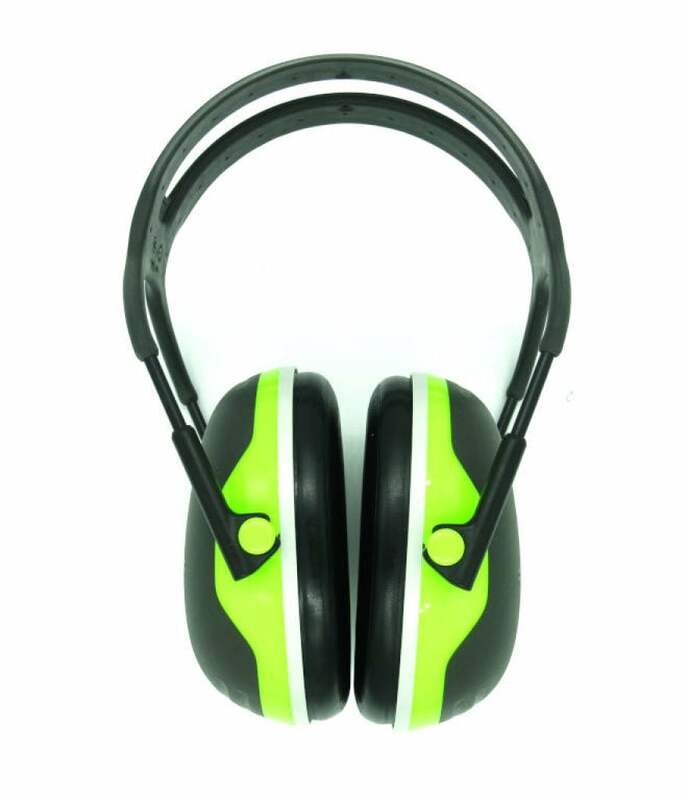 However, students, office workers, and people sensitive to noise are also increasingly using hearing protection earmuffs to reduce the noise and chatter around them so they can concentrate better and eliminate distractions. I too use earmuffs to improve focus and reduce stress, and I have been astonished what positive difference they can make for productivity and well-being. I start most of my city days drinking my morning coffee and meditating while wearing bulky noise blockers. 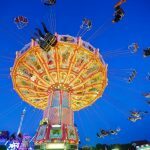 People suffering from ADHD, misophonia, hyperacusis, increased sensitivity to low-frequency noise, or simply noise fatigue can also benefit from wearing earmuffs and blocking environmental noise. 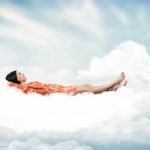 When talking about noise reduction, noise cancelling, or noise blocking in this post, I am referring to passive noise reduction without using electronics to generate a counter signal to the noise signal. In contrast, when electronics are being used to generate a counter signal to reduce a noise signal, I will refer to active noise cancelling (ANC) or active noise reduction (ANR). 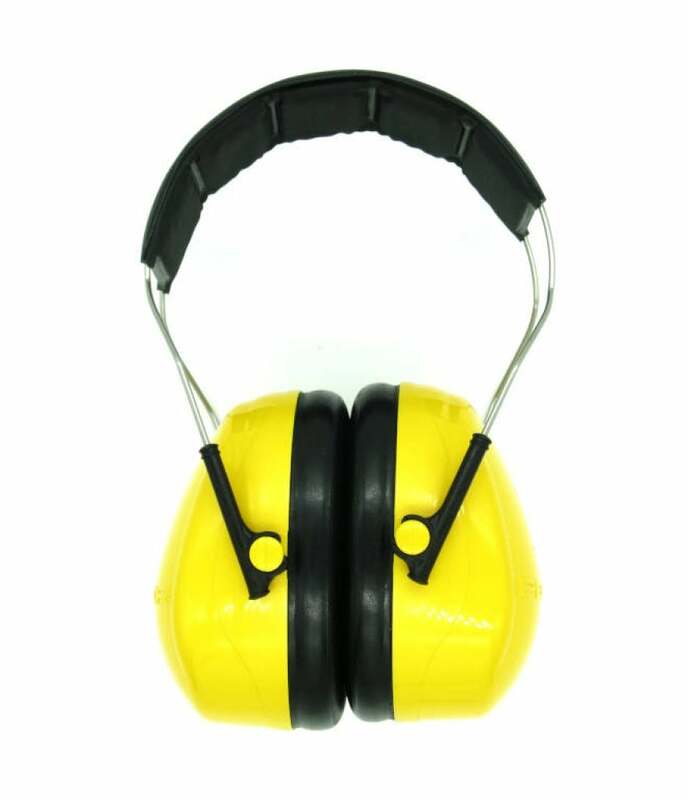 Almost all hearing protection earmuffs attenuate noise passively. That is what they get their noise reduction rating (NRR) for. What is the highest NRR for earmuffs on the market? Chances are you are looking for the highest-rated earmuffs at an economical price. But are these headlines actually believable? And are they all talking about the same rating? 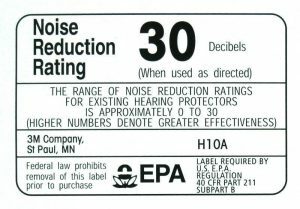 If you are buying hearing protection in the U.S., it must have such a label stating clearly the Noise Reduction Rating (NRR), the manufacturer and the model. Even the format of the label is mandated by the EPA! If you are in the U.S., and your earmuffs don’t come with a label that looks like this, you should be cautious. The SNR (Single Number Rating, e.g., used in Europe) is not the same as the NRR and generally tends to be a substantially higher number because a different testing and calculation method is being used. For more on this below. The NRR is a calculated number that is the result of a hearing test called REAT conducted with 10 different test persons according to ANSI standard S 3.19-1974. Each test subject is exposed to 9 different pink noise signals centered at 9 different test frequencies—one time with and one time without the hearing protector— to assess how effective the worn hearing protector is. The frequencies are 125, 250, 500, 1000, 2000, 3150, 4000, 6300, and 8000 Hz. The average attenuation (noise reduction) achieved by these 10 test persons for each frequency, together with the standard deviation is then tabulated and the NRR is calculated. This attenuation data is supplemental information that has to be provided with the earmuffs as well. Very often, it is printed on the box, but sometimes you find the attenuation data in an instruction manual or insert inside the box. If you are buying your earmuffs in the U.S., they should have both the NRR label and the attenuation data when you buy them. If you are not sure, always ask the company to provide you with this information before buying their earmuffs. Even If you are “only” looking for earmuffs to help you focus while studying or working in an office, this data can help you to assess how effective your muffs may be at reducing speech and environmental noise. The highest-rated commercially available earmuffs I know of have an NRR of 31. Even this number is rare. More often, you will find an NRR of 30 for the highest-attenuation ear defenders of reputable companies. It is extremely difficult for earmuffs to achieve an NRR of 31. By comparison, the highest rated earplugs I know of have an NRR of 33. This is because earplugs, when optimally inserted, can achieve a higher noise reduction at the lower frequencies. So you may wonder, how come some distributors are advertising earmuffs with a noise reduction rating of 34 or even 37 dB? I would suggest they are not using the NRR in their advertising, but a different number. They may be referring to the SNR, the Single Number Rating, which is, for example, used in Europe. The SNR is almost always a few decibels higher but it is not the number to be used on the EPA label. Here are three examples to illustrate the difference between the NRR and the SNR. Please don’t compare apples with oranges! 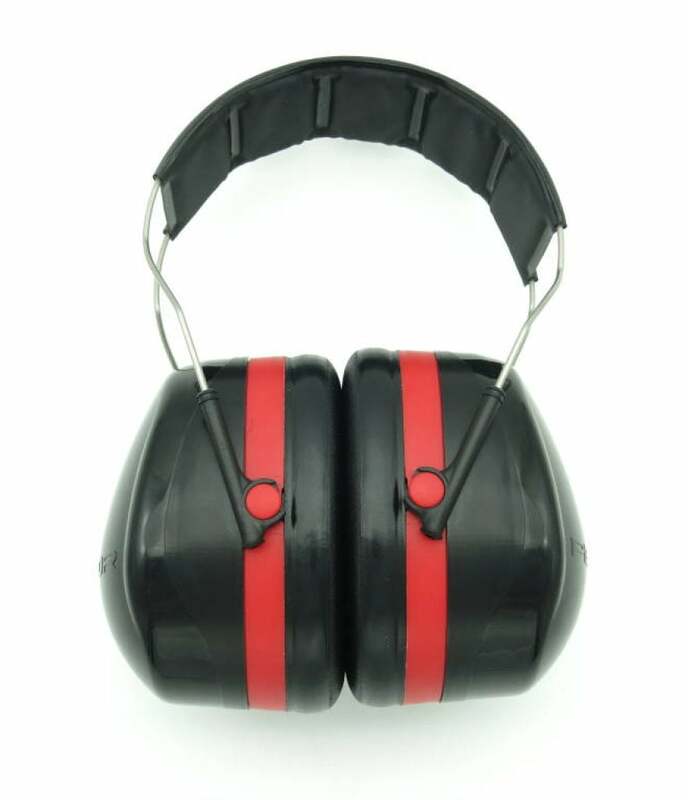 Companies like 3M and Howard Leight (Honeywell), who have been in the business of industrial hearing protection for decades, offer the data for almost all their earmuffs directly on their website. Before I go into the pros and cons of each individual pair of earmuffs, I want to give you an overview of my 5 favorites and why they are in my best-of-list. The Peltor X5A are the most effective earmuffs I know of and the difference to all competitors is clearly noticeable. Their noise reduction is exceptional. They are extremely well built, comfortable, and fit small as well as large heads. They have deep ear cups, look big, and are relatively heavy (OK for me). The ear cushion openings are on the small side, which can make them uncomfortable for very large ears. At most frequencies, the Peltor Optime 105 earmuffs are nearly as effective as the X5A. They should fit small as well as large heads and provide ample space for the ears. They are lighter than the X5A and have 1 cm shallower ear cups. In terms of noise reduction, they lag behind X5A in the low and lower-mid frequencies. Headband and build quality are good, but not as good as the X5A’s. The Peltor Optime 98 are the most comfortable earmuffs in this review. They are very light, should fit small and large heads and provide ample space for the ears. They fit adults as well as children and make for good study muffs. They are NRR-25 earmuffs (recommended by 3M for noise levels of up to 98 dBA) and as such weaker in all frequencies than the top two. This “weakness” is most pronounced in the low frequency bands, and least obvious in the higher frequencies. The Leightning L3 are great at blocking low frequency noise, as good as the X5A (and better than all others). They attenuate low-frequency noise with less weight and shallower cups than the X5A. The ear cushion openings are large with ample space for the ears. They are comfortable, but much less adjustable than the Peltor earmuffs. They barely fit my medium-large head. The earmuffs are well-made, but the soft headband cushion is delicate and prone to damage. The Peltor X4A are the most effective low-profile earmuffs I know off. They are noticeably quieter and flatter than the Optime 98. They are light, extremely well-made and they fit small as well as large heads. They are good for kids and adults alike and make for good study muffs. The ear cushion openings are on the small side, which can make them uncomfortable for large ears. Because of their low profile they create more of a vacuum feeling when you move or remove the cups. With low-frequency noise, I am referring to noise <= 500 Hz. A busy city road with rumbling trucks, cars, and motorbikes contains large amounts of low-frequency noise. Perhaps you are like me, and find this kind of noise irritating and stressful. Industrial examples include diesel generators and locomotives, compressors, chillers, and boilers. At home, AC-compressors, refrigerators and washers also emit low-frequency noise. My favorite earmuffs for blocking low-frequency noise are the Peltor X5A and the Leightning L3. How to improve on the low-frequency attenuation of earmuffs? In principle, earplugs could be better at reducing low-frequency noise. To achieve that better noise reduction, you have to insert them very deep into the bony part of the ear canal. Partial insertion can lead to a loss of 20 dB or more in low-frequency attenuation. That is like a quadrupling of the noise level. Many people don’t achieve the benefits earplugs could provide at lower frequencies because they only insert their earplugs partially or cannot tolerate deeply inserted earplugs for long periods of time. For better protection against low-frequency noise, “doubling-up,” that is, wearing earplugs and earmuffs on top of them can be highly beneficial. Be aware though that you cannot just add the noise reduction of the earmuffs and earplugs. How much you can gain depends very much on the frequency. Still, in particular for the low and low-mid frequencies up to 1000 Hz, the gains you can achieve by wearing optimally inserted earplugs underneath your muffs can be substantial. OSHA adds 5 dB to the protector with the higher NRR when estimating the total noise reduction. See this post for more information on estimating the noise reduction when wearing double protection. If you want to wear earmuffs to improve your ability to focus on studying, reading or writing, you have to choose a pair that effectively blocks out people talking around you. The frequency range from 500 to 4000 Hz is the most important for speech intelligibility. In general, I find that all earmuffs in this review are quite good at reducing the chatter around me. If the “offenders” are at a distance of a few meters, I am reasonably satisfied with either one of them. On the other hand, if a person sitting only a meter away from me holds a loud phone conversation or raises their voice, none of the muffs will completely mute that. As I see it, the best earmuffs get pretty close to what is possible for speech blocking before sound transmitted through the skull becomes dominant. How to improve on the speech blocking ability of earmuffs? I get a slight boost by adding earplugs underneath, but bone conducted sound cannot be cancelled with earmuffs, earplugs or active noise cancelling headphones. To improve significantly on the performance of the earmuff-earplug combination for blocking speech, you would need a noise cancelling helmet covering the whole head. You can, however, eliminate the distracting nature of human speech by masking it with white noise. For this you could either wear earbuds underneath your earmuffs or use a flat speaker insert which I find more comfortable. For more on how to use earmuffs together with noise masking, check my post Creating Effective Speech Noise Blockers for Office and Studying. The 3M Peltor X5A are the most effective noise reduction earmuffs I know of. They are the only NRR-31 earmuffs I have been able to locate. Their noise reduction is impressive across the whole frequency range. For low-frequency noise they are on par with the Howard Leight Lightning L3, but surpass them in nearly all other octave bands. Slightly ahead of the 3M Pro-Grade and 3M Peltor Optime 105, they are also the best speech blockers in this review. In my opinion, the X-series earmuffs have the best-designed and most durable headband of all muffs in this review. The X5A, as other models in the 3M X-series, have a rubbery-plastic-coated metal-wire headband. Unlike many other headbands, the top is open, so there is nearly no heat build-up. According to 3M, the headband is electrically insulated for low-voltage electrical hazards (less than 440 volts AC). The headband is adjustable to fit a large range of head sizes. It conforms perfectly to my head, and I don’t feel any pressure points. With 350 grams, the X5A are relatively heavy earmuffs, but the headband and cups don’t slide down. I have used these earmuffs almost daily now for 2.5 years, and the headband is as good as new. I wear the X5A for three hours without problems, so they are comfortable for me. They have an unusual ear cushion design whereby the inner ring of the ear cushion opening (the spacer opening) is relatively small, but the ear actually goes behind that ring where there is enough space. At first, I put them on just like I would put on headphones, with the result that the ear cushions would partially rest on my ears, making them uncomfortable after a while. The way I put them on now and that works very well: I slide the ear cups over the ears from behind. That way, the cushions fit around the ears and the ears have enough space inside the cups. Then I adjust the headband for optimal comfort and weight distribution. The X5A weigh 350 grams, which makes them heavier than all other muffs except for the 3M Pro-Grade (370 grams). I guess this is the price for their great noise isolation. Given the great headband, the weight is fine with me. If you do a lot of overheard work though, the weight might bother you. Comparing the X5A to other NRR-30 earmuffs, I find the lighter 3M Peltor Optime 105 slighty more comfortable to wear, but both earmuffs work for me. 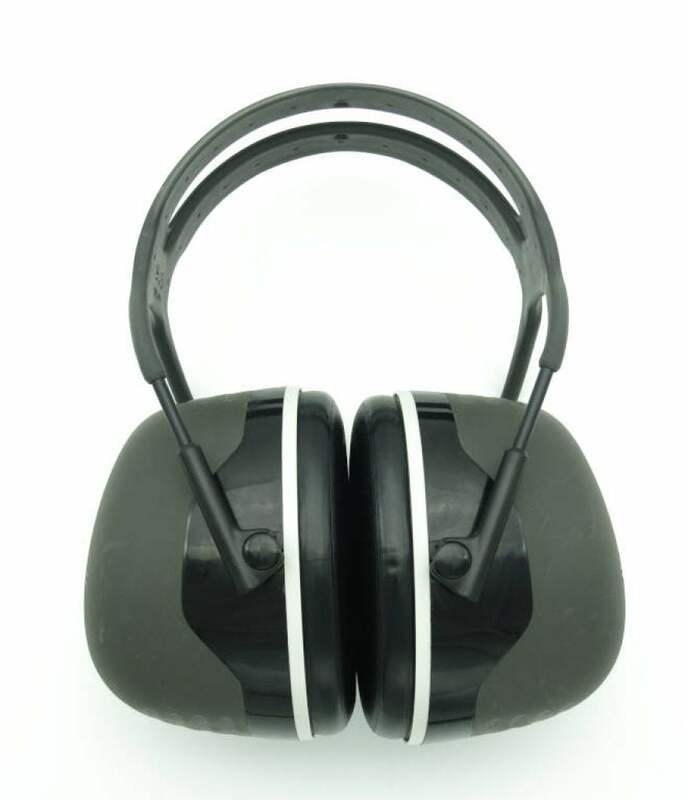 The most comfortable earmuffs are the NRR-25 rated 3M Peltor Optime 98. The cups of these muffs are about 8 cm deep, the deepest of all earmuffs. There is no mistaking them for headphones. Wearing them, you will look like an airfield mechanic. On the other hand, if you use them in an office or while studying, the people around you will know clearly that you don’t want to be disturbed. With my ears covered by them, the noise reduction seems to be even better than it is on paper. At times, I feel like I am in an “almost soundproof room.” It is hard to explain but I like how this feels. Because of this they make for great muffs for meditation. But because they are large, depending on your technique and the rifle, they may or may not work well for rifle shooting. The Peltor X5A are extremely well-built and durable. The matte cups have a softer plastic covering, so you won’t see scratches easily. The headband is made of steel metal wires, coated with a rubbery plastic; after more than two years of use, it is as new. After prolonged use, the ear cushions of any earmuffs will wear out and the insulation foam inside the cups can get dirty or deteriorate. Both the ear cushions and the insulation foam are user-replaceable and readily available for purchase in a hygiene kit. 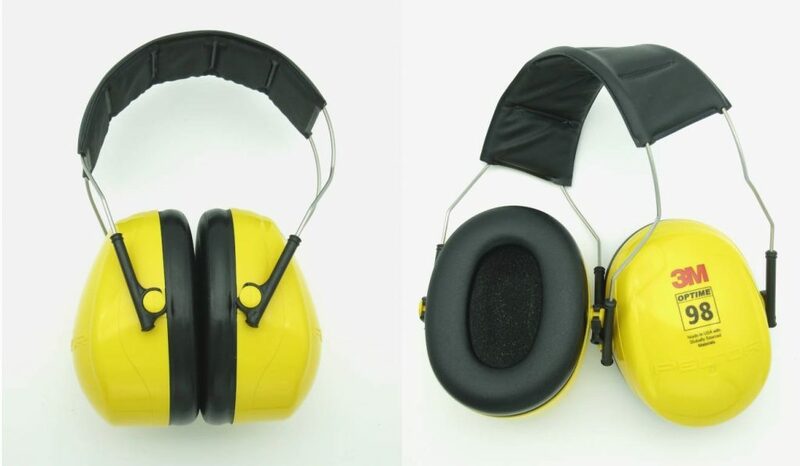 A sturdy case is also available for these earmuffs to prolong their life and keep the dirt out. These muffs should last for a long time. The Optime 105 are great NRR-30 noise reduction earmuffs. They are not quite as effective as the X5A, lagging behind slightly in the low-and-mid frequencies. Overall, the difference is not large, but it is clearly noticeable. On the plus side, their cups are 0.8 cm shallower than the X5A’s, weighing 286 grams they are lighter than the X5A (350g), and they have larger cushion openings for the ears. They are also slightly easier to put on than the X5A and a tad more comfortable, especially if you have large ears. The Optime 105 are amongst the best earmuffs for blocking speech, almost as good as the X5A and significantly better than the NRR-30 Howard Leight Leightning L3. The Peltor Optime 105 earmuffs share the same headband design with the Optime 98 and the rest of the Optime series. It is made out of stainless steel wires with a plastic cushion on the top. It is as adjustable as the X-series headband and conforms to the head. I find it almost as comfortable but it isn’t quite as ventilated. I can wear a baseball cap on top of these earmuffs, more so than with the X-series band. Unlike the X-series headband, the Optime-series band is not electrically insulated, so if you need that, you can’t get these earmuffs. Overall, the X-series headband is better. It has an opening at the top to prevent heat built-up and it is almost indestructible. It also looks more premium. The cups of these muffs are 7.2 cm deep, noticeably shallower and lighter than the X5A cups (8 cm). The X5A achieve their noise reduction with a single-cup design. These have a twin-cup design, with an outer and an inner shell separated by foam. The Optime 105 look a little more understated than the X5A, but most people will clearly recognize them as earmuffs. The cups are built out of hard-plastic; there is no soft rubber coating as with the X5A. Still they feel very solid and it would take quite some effort to damage them. Overall, I prefer the cups of the X5A though. I like the feeling that comes with their spaciousness. But, if you want to use the Optime 105 for rifle shooting, their somewhat shallower design may be an advantage. The Optime 105 are well-built and durable. The cups are made of hard plastic and the headband consists of steel wires with a plastic cushion on top. After prolonged use, the ear cushions of any earmuffs will wear out and the foam inside the cups can get dirty or deteriorate. The ear cushions and the insulation foam inserts are user-replaceable and available for purchase in a hygiene kit. A case for the Optime 105 is also available to prolong their life and keep them clean. The Leightning L3 are a solid pair of earmuffs with great low-frequency noise reduction at a moderate weight (300 g). 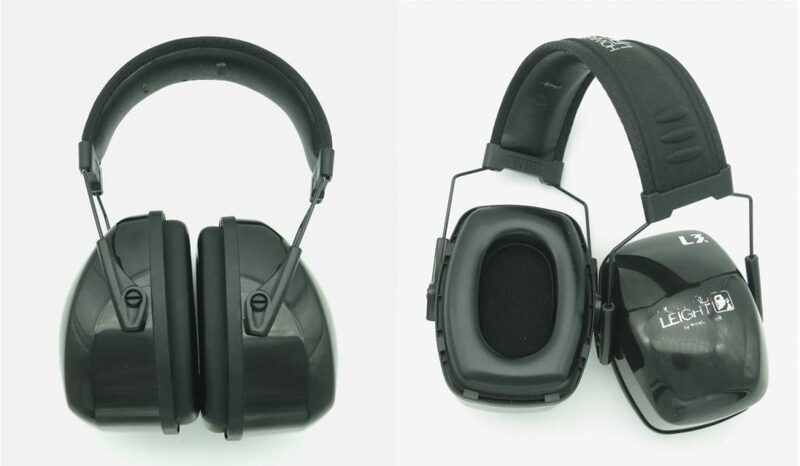 The low-frequency reduction is as good as the substantially heavier 3M Peltor X5A earmuffs’ and better than the Optime 105 and the 3M Pro-Grade. 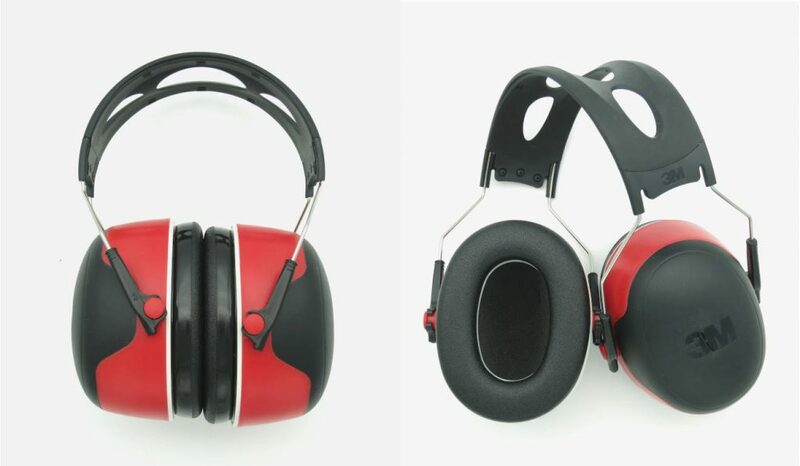 So if you are looking for lighter earmuffs to block generator noise, rumbling, or other low-frequency machine noise, the L3 are a great choice. For high-frequency noise and speech blocking both the X5A and the Optime 105 are better than the Leigthning L3. I find the L3 comfortable; the ear cups have an opening that provides enough space for larger ears. They are easy to put on and take off. The ear cushions are made of a relatively stiff plastic. This doesn’t bother me per se, however, when I sweat, the ear cushions become slippery and the muffs slide around. The ear cups are solid; you would have a hard time breaking them. The headband of the L3 is made of steel wires and padded with a soft material, which is comfortable but a bit delicate. I managed to damage it in several places just by being a bit careless with my nails. These earmuffs fit my head but only just. I have to pull the headband out to its maximum extension, and my head is average-size. If you have a large head, these may not fit. 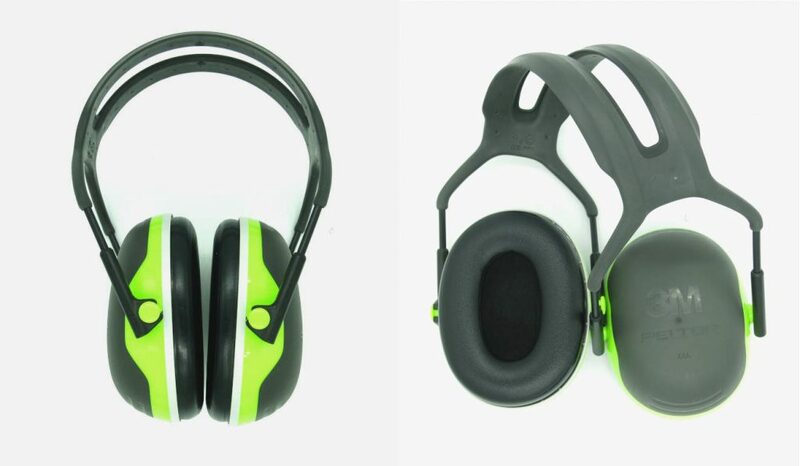 Overall the L3 are much less adjustable than both Peltor X-series and the Optime-series earmuffs. The cups are 7.4 cm deep, about as deep as the Optime 105’s cups. Like most earmuffs, the Leightning L3 use a single-shell cup design. The way they are designed, the great low-frequency noise attenuation is surprising. Howard Leight state that this is due to their patented air flow control technology. Whatever that technology may do, the muffs work really well. Of all high-attenuation (NRR-30) earmuffs I know of, these look the most like regular headphones; I wouldn’t feel out of place wearing them in an office, a coffee shop, or a library. The built-quality is fine. The main weakness of these muffs is the headband padding. Sharp or pointed objects can easily damage it. Exposed to heat and sweat, the ear cushions of all muffs deteriorate over time. A hygiene kit is available for the Leightning L3, so you can swap out the ear cushions and insulation foam. This is a great way to prolong the life of the earmuffs. The Peltor X4A are the highest rated low-profile earmuffs I have found. Including the ear cushions, the cups are only 4.5 cm deep, so a bit more than half the cup-depth of the X5A and still about 1.5 cm less than the Optime 98. At 230 grams, they are also among the lightest earmuffs. The X4A have the same headband (my favorite headband) as the X5A, well-made, comfortable, virtually no heat build-up, and adjustable to fit small as well as large heads. They also share the same ear cushions and the same spacers (the grey rings that connect the cushions with the cups) with the X5A. I believe this cushion-spacer combination is the reason why the X4A are such effective earmuffs. But, on the flip side, compared to other muffs the opening for the ear is relatively small, so if you have very large ears you may find the opening too small for comfort. In addition, because the cups of the X4A are low-profile (and hence have less volume), these muffs can create a bit of a suction feeling when you move the cups around or take the muffs off. For comparison, with the X5A, due to their large-volume cups, I don’t get this feeling at all. Compared to their nearest competitor, the Optime 98, the X4A are a slightly more effective at reducing noise and that at virtually all frequencies. In particular at the lower frequencies, this difference is noticeable. On the flip side, I find them less comfortable than the Optime 98 (but not uncomfortable). If you need high-attenuation low-profile earmuffs, these are a great choice. In terms of looks, the X4A are among my favorite earmuffs. They are slim and look sleek. The 3M Peltor X4A share the same excellent build-quality with the X5A. The matte cups are coated with a soft plastic and the headband is made of steel-wires and embedded in a soft rubbery plastic. You will have a hard time damaging these. Like for the X5A a hygiene set containing the ear cushions and the insulation foam is available, so you don’t have to replace the whole muffs when the cushions are worn out. The Peltor Optime 98 are the lightest (222g) earmuffs in this review. I find them also the most comfortable ones. The ear cushion opening is as large as the Optime 105’s and should fit even large ears. The headband is the same as the Optime 105’s and adjustable for small as well as large heads. So these should fit kids as well as oversized hulks. In terms of overall noise reduction, the Optime 98 are the weakest in this review, mainly because of their comparatively weak low-frequency noise attenuation. But keep in mind that these are designed to be NRR-25 earmuffs and advertised as such. 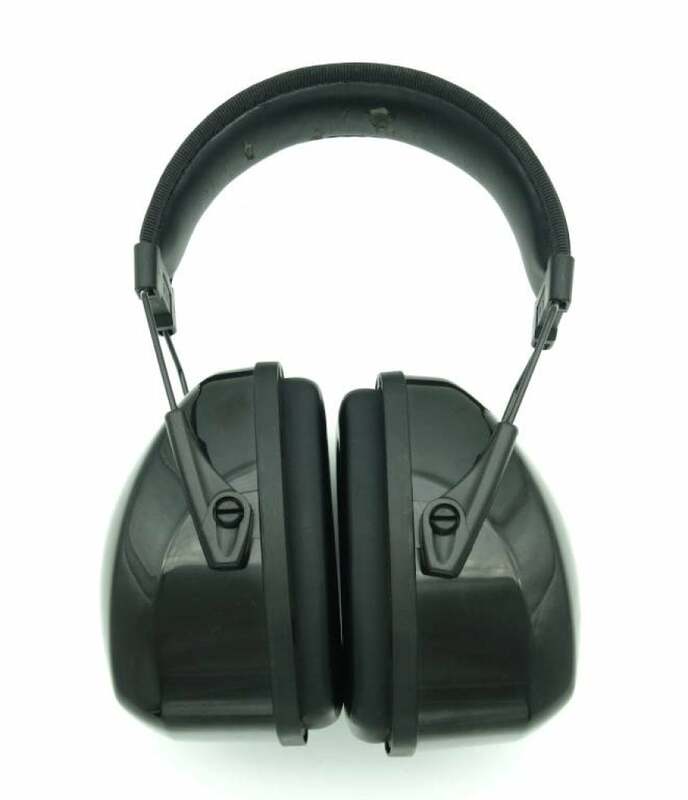 3M recommends them for noise levels of up to 98 dBA. Most other earmuffs in this review are NRR 30, designed to get close to the limits of what passive earmuffs can achieve. These muffs are great to protect hearing in a medium-noise environment and as a light-weight everyday-noise and speech blocker. The most important frequency bands for understanding speech are from 500 to 4000 Hz. If you look at the comparison chart, in this range, the NRR-25 Optime 98 perform as well as the NRR-30 Leightning L3. And, this is also the subjective feeling I get wearing them. As described in the post Creating Effective Speech Blockers for Office and Studying on a Shoestring, you can optionally combine them (as well as the other muffs in this review) with flat speakers and add a masking noise if you are as bothered by heated conversations as I am. They make for great budget study earmuffs. Because they are so light and adjustable, they are also suitable for smaller children. If you or your loved-ones can’t focus due to ADHD or misophonia, these are a good alternative to earplugs. 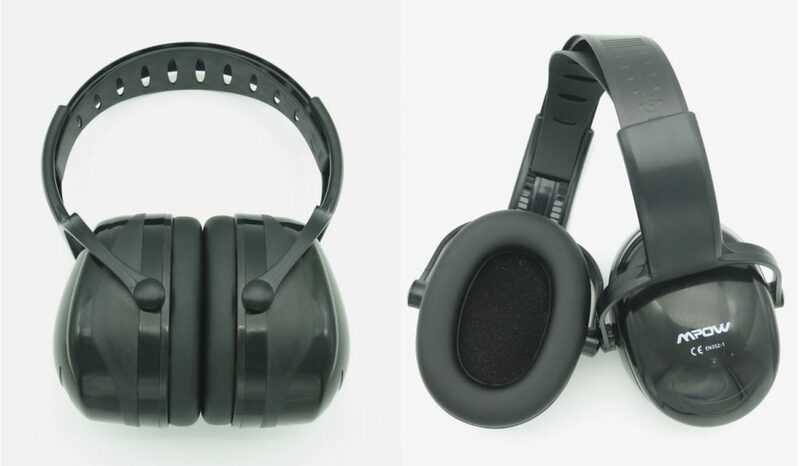 The cups of the Optime 98 are about 6 cm deep (including the cushion), shallower than the cups of all other earmuffs in this review except for the 3M Peltor X4A. The cups are made of a durable hard-plastic and come in a signaling-yellow. Despite them being relatively low-profile, if you wear them in an office, the color will give them away as safety earmuffs, if you are concerned about this. On the other hand, the yellow ear cups might make it easier to find your child. The Optime 98 have the same steel-wire headband as the Optime 105 and the cups are made of a durable hard-plastic. Short of a manufacturing fault or someone trying to break them on purpose, they should last a long time. 3M offers replacement ear cushions and foam inserts for the Optime 98, but so far I have only seen them in packs of 20 kits, so this may be OK if you are getting these muffs for your whole team. The Pro-Grade earmuffs are one of the newest earmuff models released by 3M. When they came out, I was really excited. Their noise attenuation is great. In terms of overall noise-reduction they are a tiny bit better than the Optime 105, but it is more or less the same. After using them for a while though, I have come to the conclusion that the Peltor X5A still attenuate noise better than the Pro-Grade. In particular in the range from 250 to 1000 Hz the X5A are noticeably better. Mind you, no other muffs I have reviewed come close to the X5A in this range. In terms of low-frequency attenuation, the Pro-Grade are on par with the Optime 105, but still not as good as the X5A or the Howard Leight Leightning L3. The main advantage of these muffs is that the ear cushion opening is significantly larger than the X5A’s and even slightly larger than the Optime 105’s. What’s more, the cushions themselves are very soft and comfortable. So in terms of cup openings and cushions these are great. The headband is as adjustable as the X-series and the Optime-series headbands, so the muffs fit smaller as well as larger heads. Unfortunately, the Pro-Grade, weighing nearly 370 grams, are much heavier than the Optime 105 by the same manufacturer; they are even heavier than the already heavy X5A; we are getting close to 1 pound. I don’t know why 3M advertises them as light-weight, because light-weight they are not! I am still OK with the weight, but wearing them, the headband de-adjusts itself, and the cups slowly slide down. This makes them difficult to use. The cups are 7 cm deep, in line with the Optime 105 and Leightning L3, and by about 1 cm shallower than the X5A’s cups. Like most muffs in this review, these feature a single-shell cup design. The cups are thick, solid, and the heaviest of all muffs in this review. 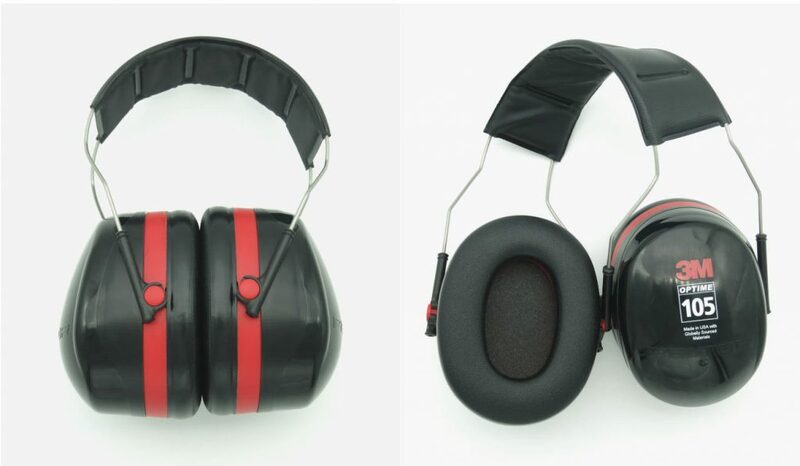 The 3M Pro-Grade are clearly recognizable as earmuffs, but they don’t look as huge as the X5A. The built-quality of the cups is fine. The headband-is made out of steel-wires with over-molded rubber on the top. The rubber-top has large openings, so the headband is well ventilated. The main weakness seems to be the adjustment mechanism of the headband or the fact that the cups are so heavy. When I wear the Pro-Grade, the ear cups just won’t stay in place. For comparison, I have tried the X-series headband together with these cups: with that headband, they stay in place. Unfortunately, these muffs aren’t certified with the better X-series headband, so you can’t swap out the headband to use them as a hearing protector. But if you are looking for high-attenuation study or open-office muffs for big ears, getting the cheapest X-series model for the headband and this model for the cups might be an option. I haven’t been able to locate a hygiene kit to replace the cushions and foam lining of these earmuffs, so you will likely have to buy new muffs when the cushions are spent. Recently, earmuffs under the Mpow brand have become quite popular, and I wondered how they compare, so I ordered a pair of the Mpow upgraded noise reduction safety earmuffs. Mpow states that they have an NRR of 29 (SNR 36). These numbers are printed on the box I received. Unfortunately, there is no EPA label on the box (and none in the box either). Since this label is mandatory for hearing protection in the U.S., I wouldn’t dare to use them where hearing protection is required. Upon contacting the distributer, they weren’t able to provide me with the attenuation data on which the NRR is based. Note that in contrast, this information is available for all other earmuffs in this review. So for the time being, I will also not consider using them as safety earmuffs when working in a high noise environment in a private setting. I can only review these as study and open office earmuffs where the challenge is to block distracting noises rather than protect hearing. The earmuffs are relatively light (280 g). They weigh about the same as the 3M Peltor Optime 105. The cushions have large openings for the ears, so they should also fit large ears. The headband is made out of plastic and adjustable, but much less so than the headbands for the 3M earmuffs. I have to extend the headband to the max to put on these earmuffs, and the lower end of the cups still sits on my ears. If you have a large head these might not fit. By comparison, the Optime headband is a lot more adjustable and fits small as well as large heads. On the plus-side, I like the large cushion openings. If your head is small enough they would perhaps be as comfortable as the 3M Peltor Optime 105. I tried the Mpow muffs with different distracting noise sources and also as a speech blocker (basically what you would get in an open office or café) and they perform well, but regardless of the noise I find them less effective than the Optime 105. I use the 3M Peltor Optime 105 as a reference here because the physical characteristics of the Mpow and the Optime earmuffs are very similar (size, cup depth, and weight). The cups of these earmuffs are about 7 cm deep and the muffs weigh about 280g, both on par with the Optime 105. The Mpow muffs have a twin-cup design, with an outer and an inner shell separated by foam. These are not small earmuffs, but because they are completely held in black, they look more like headphones than the 3M Optime 105. I would not mind wearing these in an office or a coffee shop. The cups are hard-plastic. The headband is made out of plastic and has plastic hinges. I am a bit concerned about its durability, but I would be OK with it, provided it was more adjustable. I haven’t been able to find replacement cushions and foam inserts for these earmuffs. You will likely have to buy new muffs when the cushions are spent. In this review, I have looked at seven different noise cancelling earmuffs and ranked my top 5. In my opinion all of the top 5 are good earmuffs. Each pair is optimal for a slightly different use case. Are you still wondering which ones to get? So which ones should you get? 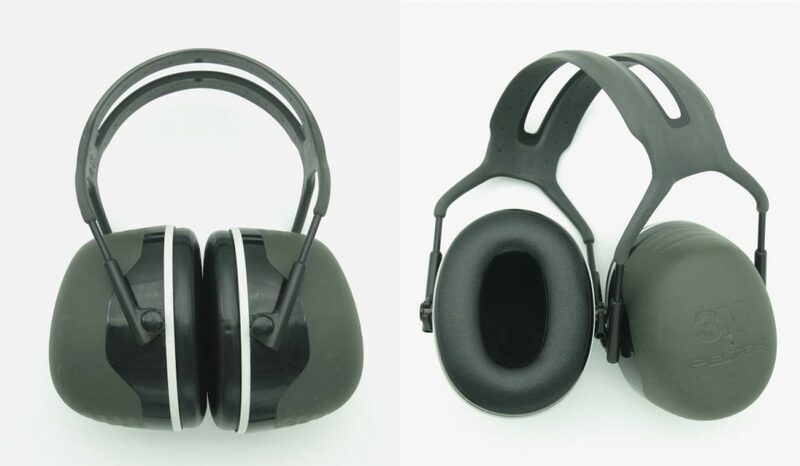 If you need high-attenuation earmuffs, get the 3M Peltor X5A (the best) or the 3M Peltor Optime 105 (larger ear cushion openings and lighter). Both are great muffs and I find both of them comfortable. I like the X5A for their outstanding noise reduction and I keep coming back to them. The Optime 105 are almost as good as the X5A, but lag behind them in the range from 250 to 1000 Hz. The difference becomes obvious when being exposed to traffic or generator noise, that is, low and low-mid frequency noise. The Optime 105 have larger ear cushion openings than the X5A, so if you have very large ears they may be more comfortable. They also have slightly shallower cups (7.2 cm vs 8 cm). In addition to one of them, I suggest getting a pair of the Peltor Optime 98. They are very light and comfortable and also fit children. They are great for reducing environmental noise and make for nearly as effective speech blockers as the first two. If you need effective low-profile earmuffs, try the Peltor X4A. They are also light and should fit adults as well as children, but have smaller cup openings than the Optime 98. Noise reduction ratings and attenuation data as per earmuff packaging and insert. EPA label and attenuation chart images taken from the package of the 3M Optime 105 (H10A) earmuffs. The earmuffs depicted in the images are in use; some scratches and scuff marks may be visible. Think how quiet submarines are. They have to be. This is life and death for submariners. The Kriegsmarine started covering the hulls of type 7s in rubber. This is now standard on all submarines. I recently modded my current sound reduction earmuffs by covering the external shell with rubber strips cut from a wheelbarrow tire. Then I used the remaining rubber scraps alternating with felt inside the shell. This greatly reduced low frequency noise. Thank you very much for this interesting excursion and sharing the improvements you have made to your earmuffs. Interesting enough, the 3M X-series muffs have cups with a rubberized exterior and also feature a rubberized headband. Also, the 3M Pro-Grade earmuffs have a few strips (they look like made of carbon fiber) attached to the inside of the ear cups, likely to modify their acoustic properties. What kind of noise did you use to compare their attenuation before and after?